The Optimo K715 provides high levels of safety in wet conditions and excellent dry driving for all-round performance in all summer conditions. This tyre is also optimised for superb cornering. Designed with a tie bar to support the shoulder area of the tyre, the Optimo K715 works to retain stability for excellent handling. 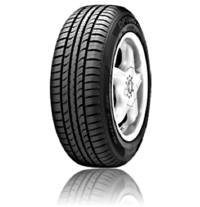 In addition, this tyre provides precise steering thanks to its enhanced tread strength. This tyre is also designed to provide high levels of aquaplaning resistance for enhanced safety on wet surfaces.